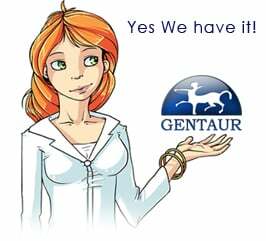 Gentaur antibody-antibodies.com The Marketplace for Antibodies : Ribonuclease E organizes the protein interactions in the Escherichia coli RNA degradosome. Ribonuclease E organizes the protein interactions in the Escherichia coli RNA degradosome. The Escherichia coli RNA degradosome is the prototype of a recently discovered family of multiprotein machines involved in the processing and degradation of RNA. The interactions between the various protein components of the RNA degradosome were investigated by Far Western blotting, the yeast two-hybrid assay, and coimmunopurification experiments. Our results demonstrate that the carboxy-terminal half (CTH) of ribonuclease E (RNase E) contains the binding sites for the three other major degradosomal components, the DEAD-box RNA helicase RhlB, enolase, and polynucleotide phosphorylase (PNPase). The CTH of RNase E acts as the scaffold of the complex upon which the other degradosomal components are assembled. Regions for oligomerization were detected in the amino-terminal and central regions of RNase E. Furthermore, polypeptides derived from the highly charged region of RNase E, containing the RhlB binding site, stimulate RhlB activity at least 15-fold, saturating at one polypeptide per RhlB molecule. A model for the regulation of the RhlB RNA helicase activity is presented. The description of RNase E now emerging is that of a remarkably complex multidomain protein containing an amino-terminal catalytic domain, a central RNA-binding domain, and carboxy-terminal binding sites for the other major components of the RNA degradosome.